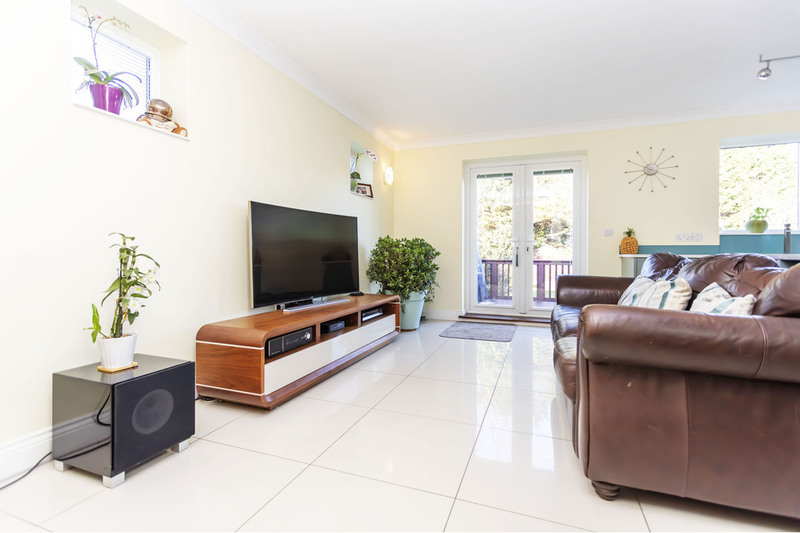 A BEAUTIFULLY PRESENTED, MODERNISED AND EXTENDED THREE BEDROOM HOUSE WITH PLENTY OF OFF ROAD PARKING, A LARGE REAR SUNDECK AND GARDEN. 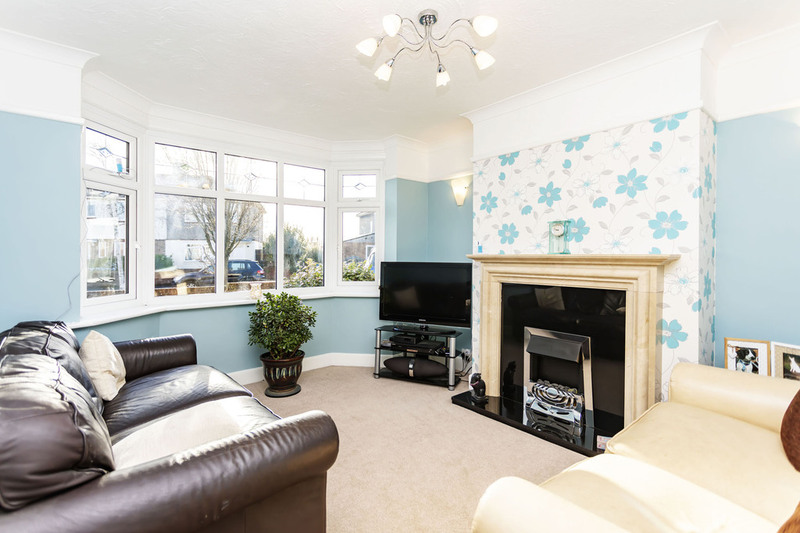 UPVC double glazed window to front aspect with stained glass quarter lights, featuring lovely polished stone fire surround with similar hearth and fitted electric fire (no working flu) the fire surround forms a focal point to the room with twin wall lights to either side, ample space for sofa suite, TV point, radiator. 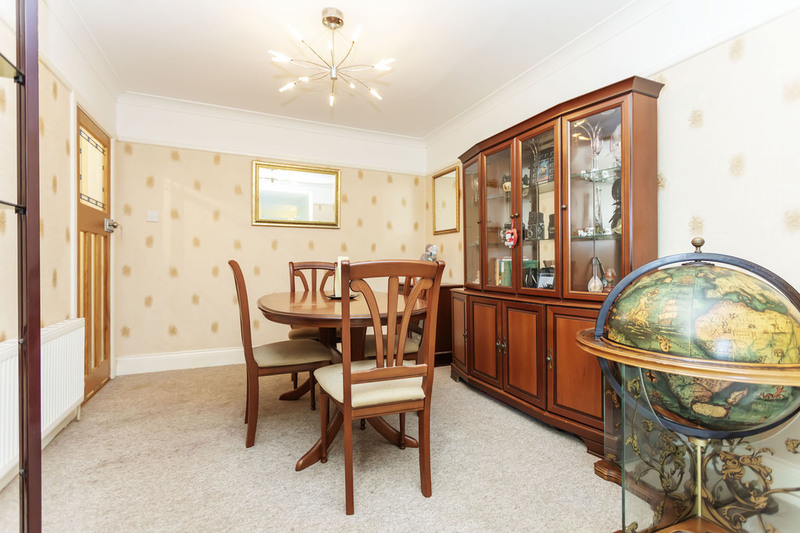 The dining room has its own glazed decorative pine door from the hallway and there is an archway through to the Kitchen/Family Room at the rear. 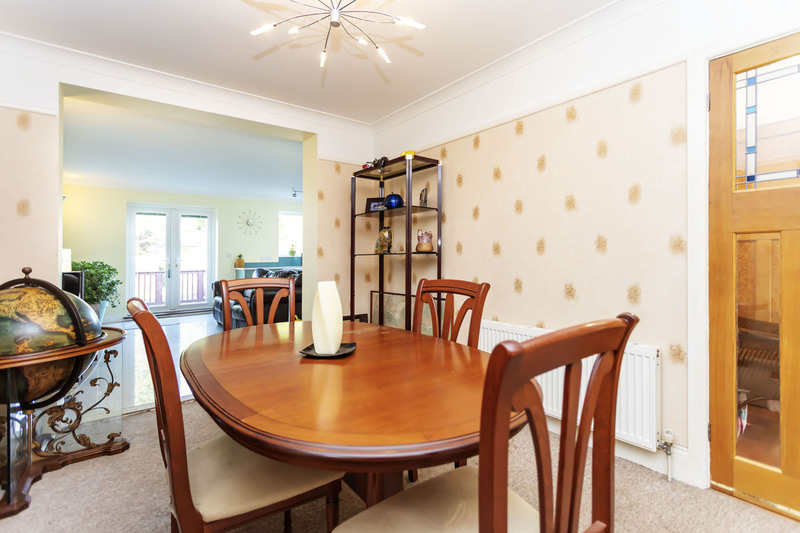 Ample space for family size dining suite and sideboard, radiator. 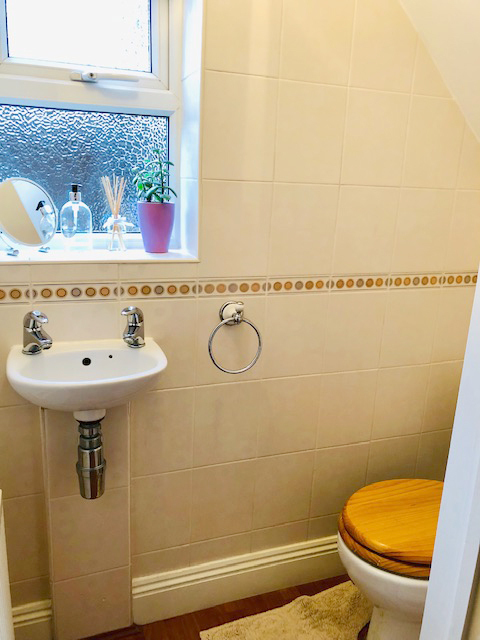 Obscured glazed window to side aspect, fitted into the under-stairs area with fully tiled walls, continuation of the laminate flooring from the hallway and fitted with a closed coupled w/c and wall mounted hand basin, radiator. 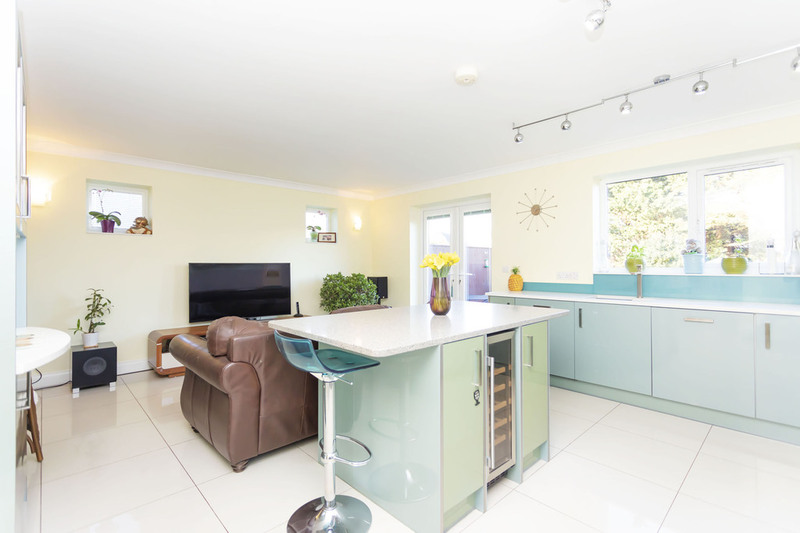 The extension to the rear of the house forms a stunning kitchen/family room in the modern style. 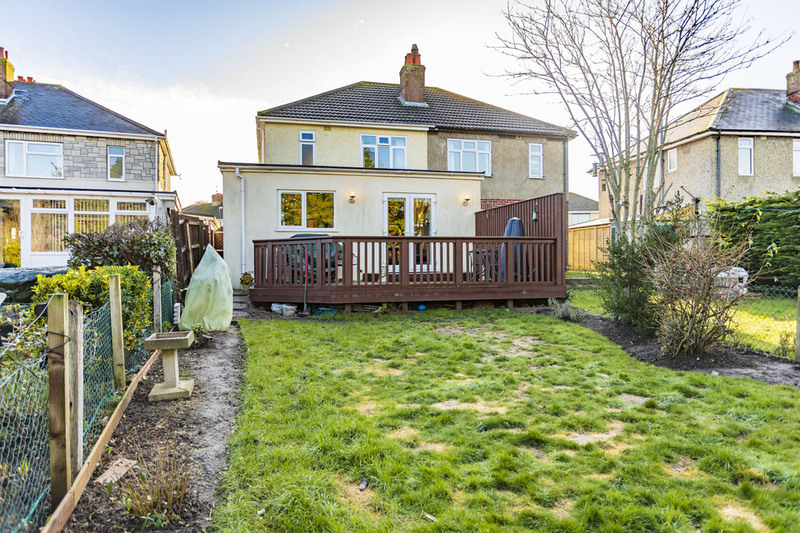 AGENTS NOTE: The rear extension is currently single storey but the footings were prepared strong enough by the current owners to have a second storey added if desired ~ STPP. 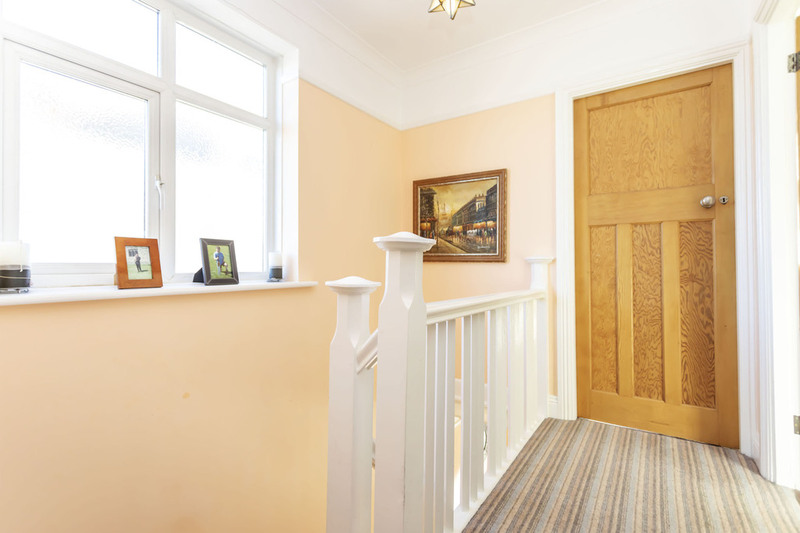 The previously mentioned archway loads through to the dining room whilst as you enter from the hallway there is a utility area with obscured glazed door to the side. 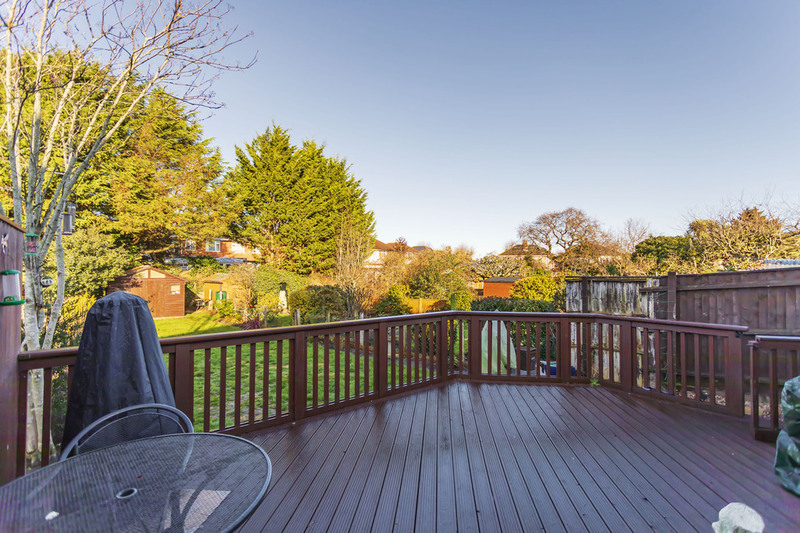 There are windows to all three aspects including French doors leading to the rear raised deck area. The Kitchen is fitted with a range of modern units with stainless handles under polished stone working surfaces on two sides. 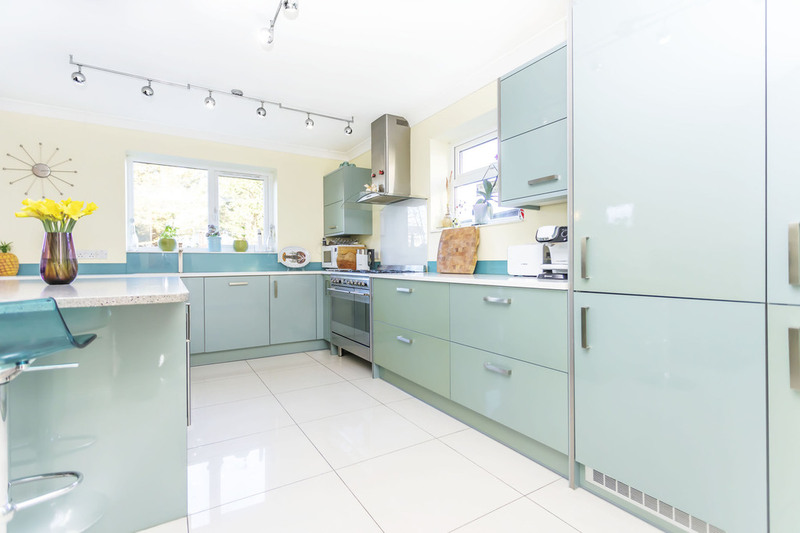 There is a large island unit in the centre with breakfast bars to either end and additional storage cupboards under including twin wine coolers. 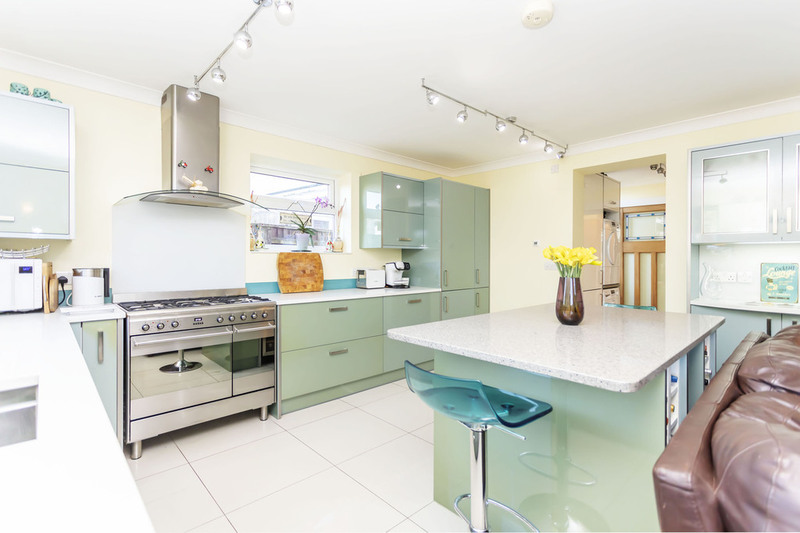 There is a one and a half bowl stainless steel under slung sink with mono block mixer taps over and integrated drainer whilst cooking facilities are provided by a stainless steel range cooker with five burner hob and double oven under with separate stainless steel and glass extractor hood over. There is a integrated dishwasher by the sink and to the corner an integrated tall fridge/freezer. Further storage cupboards and space and plumbing for washing machine and tumble dryer. 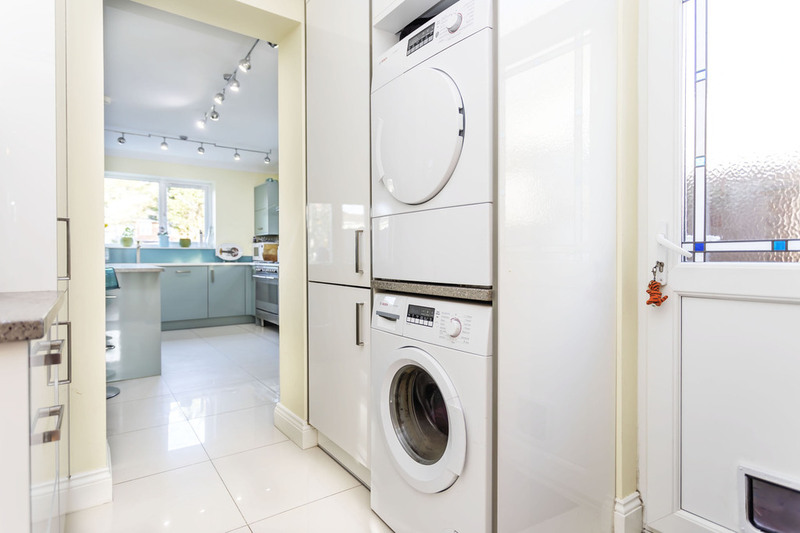 One of these cupboards houses the gas fired boiler which serves the central heating and hot water. 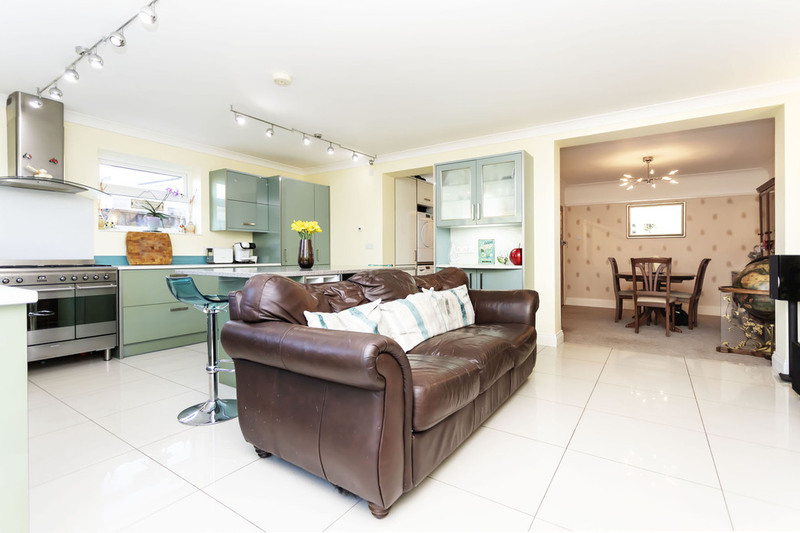 The kitchen area and utility have large porcelain tiled flooring which extends through to the left side of the room by the French doors to the garden where there is the family area providing ample space for further sofa suite, TV or additional dining area. 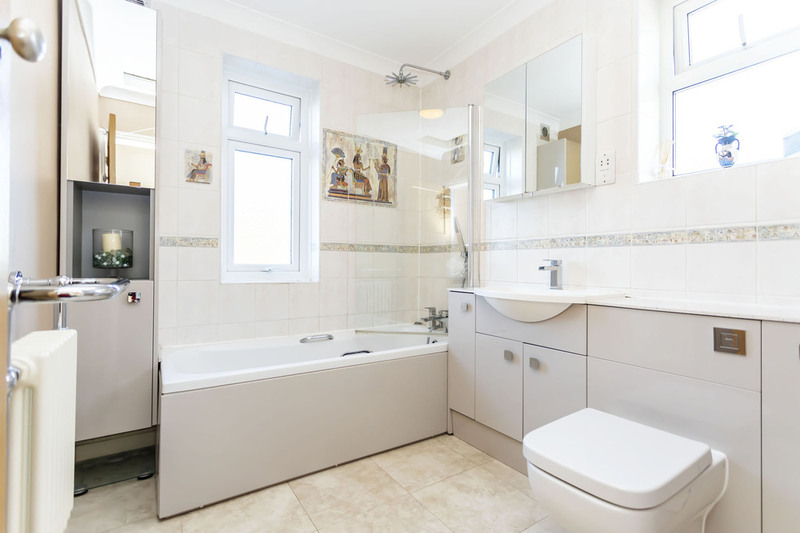 The whole area has under floor heating. Bay window to front aspect over the lounge downstairs, fitted with a range of integrated hanging and drawer units forming a bridging section over the bed and dressing table in the bay window, double panel radiator. 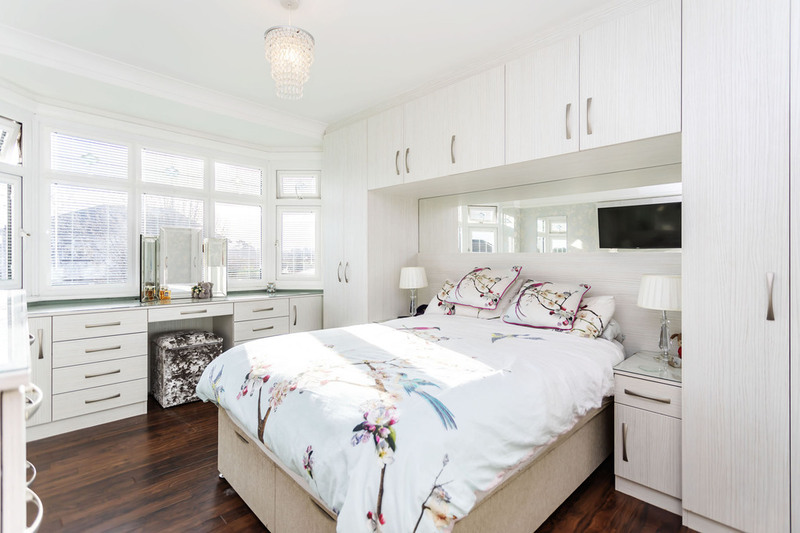 UPVC double glazed window to rear aspect, double paneled radiator, one wall is fitted with a full range of sliding door wardrobes (two of which are mirror fronted) with ample hanging and shelf storage space internally. 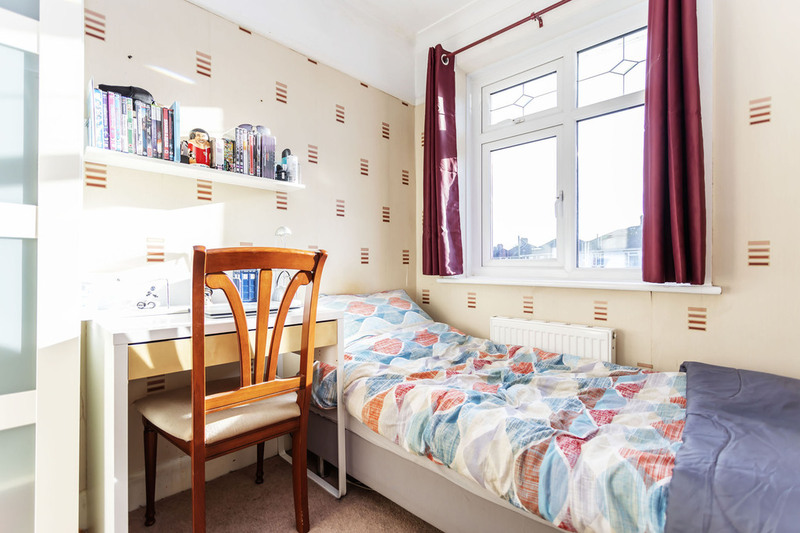 Space for double bed and additional furniture as required. 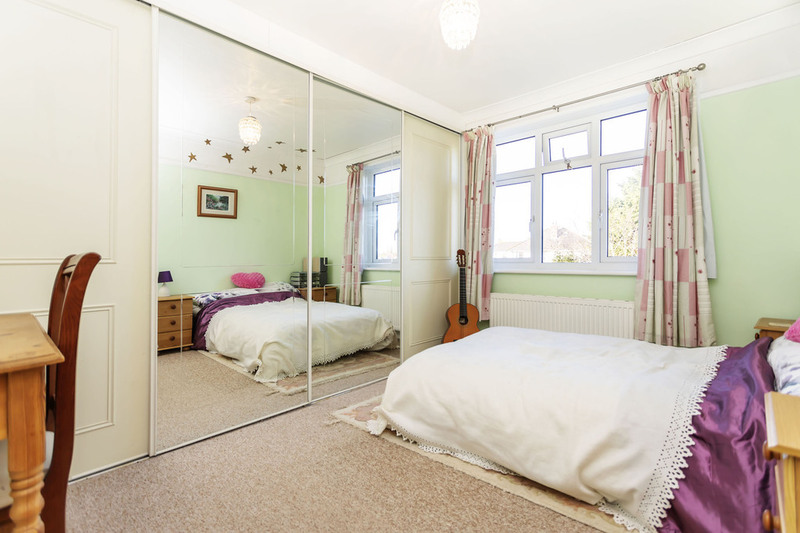 UPVC double glazed window to front aspect, double paneled radiator, a single room but still with place for dressing table and wardrobe. Obscured glazed window to rear aspect and further separate window to side aspect, fitted with a lovely modern white suite comprising bath with mixer tap and shower attachment with separate wall mounted shower over and glass splash screen to side, adjacent to here is a vanity storage units under with half housed basin storage cupboards under and box cistern w/c to one end. Mirrored doored bathroom cabinet and shaver point to the side. 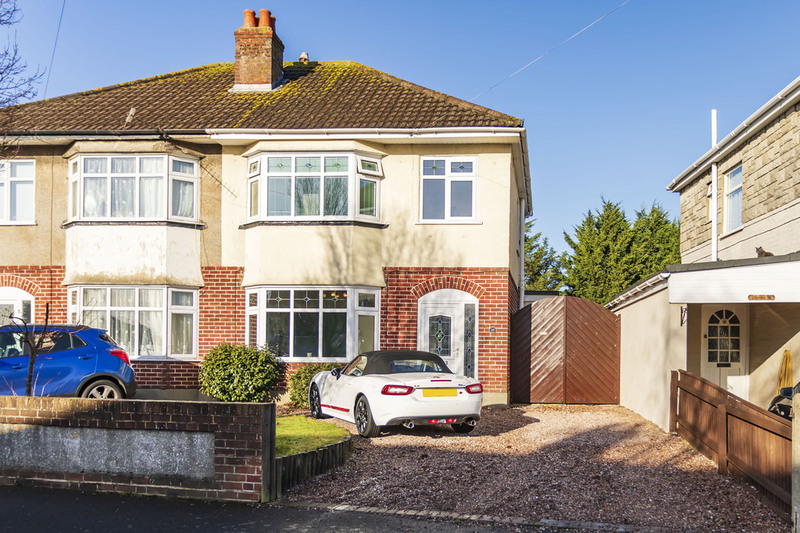 To the front the property is approached from the road by a shingle driveway which provided parking for several vehicles while the remainder of the front garden is laid to lawn with a brick wall providing the boundary to the road. 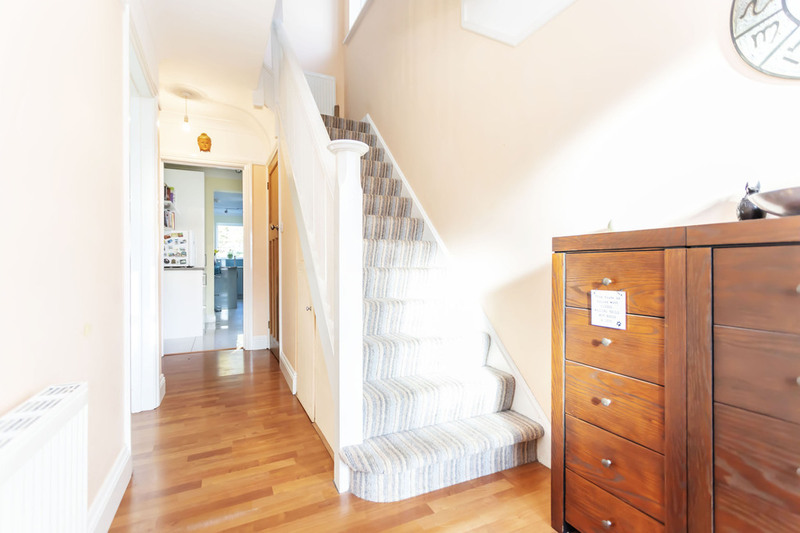 A double gated pathway to the side here (wide enough for a small car) leads to a further side storage area and past the second door from the kitchen to the rear. 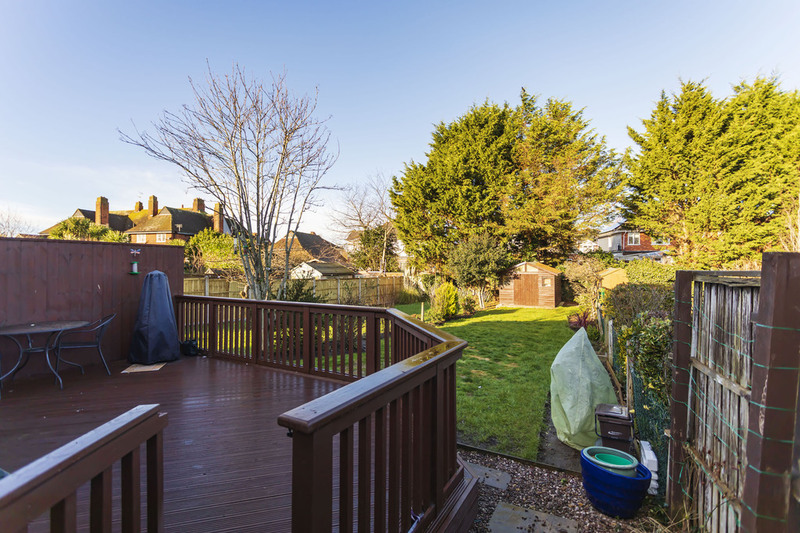 Like the kitchen, the rear garden has been landscaped with a large raised deck immediately adjacent to the doors from the kitchen extension. There is ample space out here for a family size dining suite, BBQ etc. 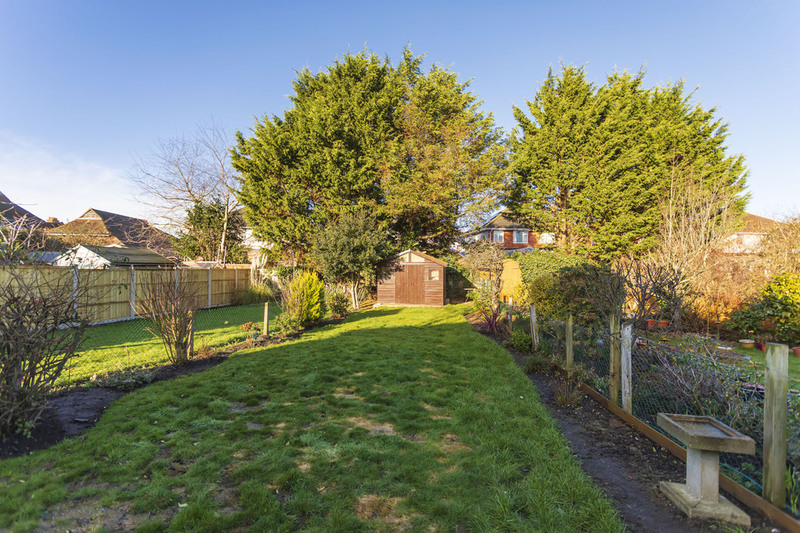 A step from here then leads down to the main body of the garden which is laid to lawn with flower and shrub borders to either side and it has a sunny south westerly aspect. To the rear of the garden is a good sized good condition garden shed/workshop ideal for bikes, tools, surf boards and the like.